Today is a big day! I’m sharing all of my favorite items throughout the year – and I’m giving away several of them to you! I’ve rounded up all of my favorite items in what will likely be my second but last gift guide post of the year. You’ll likely see some repeat favorites, because these items have proven to be amazing year after year. But, there are some newbies included as well! I’ve chosen not to team up with other bloggers for this giveaway, as I’ve done in the past, as I want these items to go to my loyal readers as a ‘thank you’ for following along on my blog. Near the end of the posts, you’ll find all of the amazing items you have a chance to win! I present my favorite things of 2016! And now for the giveaway! Following are the items that are up for grabs, totaling over $600 in value. There will be multiple winners as described below! 3 prints of winner’s choice from Lindsay Letters. I own countless canvases and prints from Lindsay’s shop and I love every single one of them. Below are a few of my favorites ( Doxology, It Is Well, and O Little Town of Bethlehem)! $250+ in product from Country Chic Paint including All-in-One Decor Paint, natural wax, tinted wax (winner’s choice of color), metallic cream, glaze, crackle medium, texture powder, antiquing dust, oval brush, apron, and beeswax distressing bar! 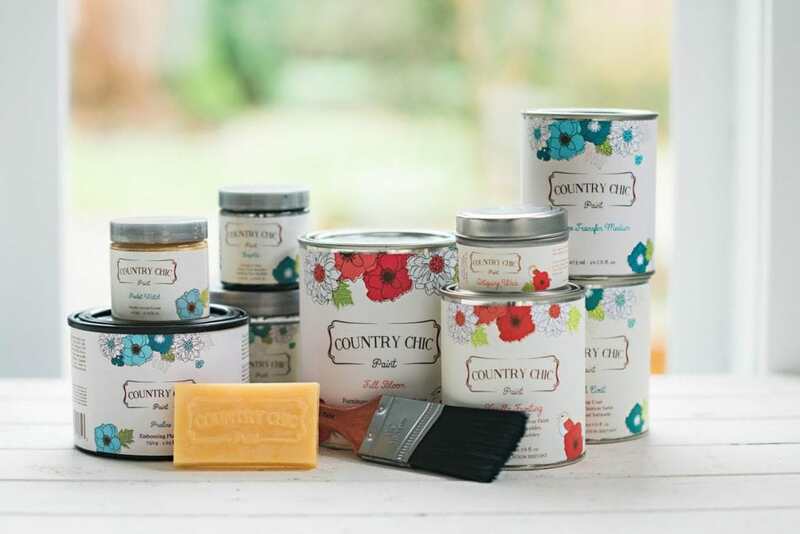 If you’ve followed my blog for awhile, you know I love Country Chic Paint and all of their products. I can’t even count the number of items I’ve painted in our home with their chalk-based paints and other products (including cabinets, furniture, my fireplace, etc.). Two Woven Workz Europa Throws (winner’s choice of colors) from my friends at hayneedle! 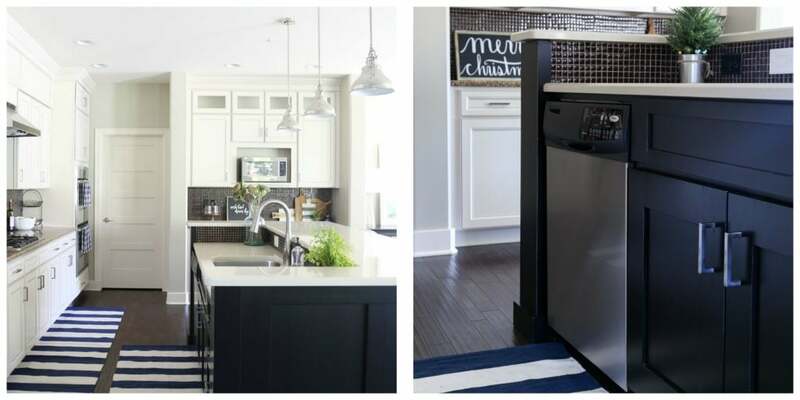 hayneedle has been an amazing partner for me this year and I love so many of the products they offer. I have these throws in two colors in our home currently (cream and navy) and I’m obsessed with their texture and coziness. By far my top pick for neutral throws! $50 store credit to The Summery Umbrella. I’ve owned some of LZ’s pieces in the past but only recently met her at the Better Homes & Gardens event. I love her (and her art) even more now that I know her! You’ve seen some of her pieces in our home, and you’ll see even more detail in my upcoming Christmas home tours! The first four brand giveaways will all be sent to a different winner. The last package, curated by me, will be given to the fifth final winner with the items in the last bullet points. There are multiple entries allowed, so get all your chances in. The giveaway is open to all US and Canadian residents, age 18+ and will run thru 12/12/16 at 11:59 PM Central. Thank you again to each and every one of you that regularly reads my blog. I appreciate you all more than you will ever know! Good luck and I hope you appreciate some of my favorite things! Anything in this post would be amazing. Thanks for the opportunity! I love all of your prints by Lindsay Letters!! And those blankets also look amazing!! Thank you for the chance to win! Wow – an amazing giveaway! I think my favorite item is the throw – it looks so cozy! But everything looked great 🙂 Happy holidays! What a wonderful array of gifts! I enjoy your blog so much. I very much appreciate that you post in the mornings so I can enjoy it with my morning coffee before work. Merry Christmas!!! I would love the Lindsey letters prints! Thanks for a fun post. You’ve given my some gift ideas. Thanks for taking the time to curate such a thoughtful post. Such a fun giveaway! I would love to try that rotary tool…and the paint. I love it all!! I would love the doxology ptint. Absolutely gorgeous! All of the prizes are great and I’d be happy to win any of them! Such amazing taste! All of these are so amazing. What a great list. Both for gift ideas and for a wish list. 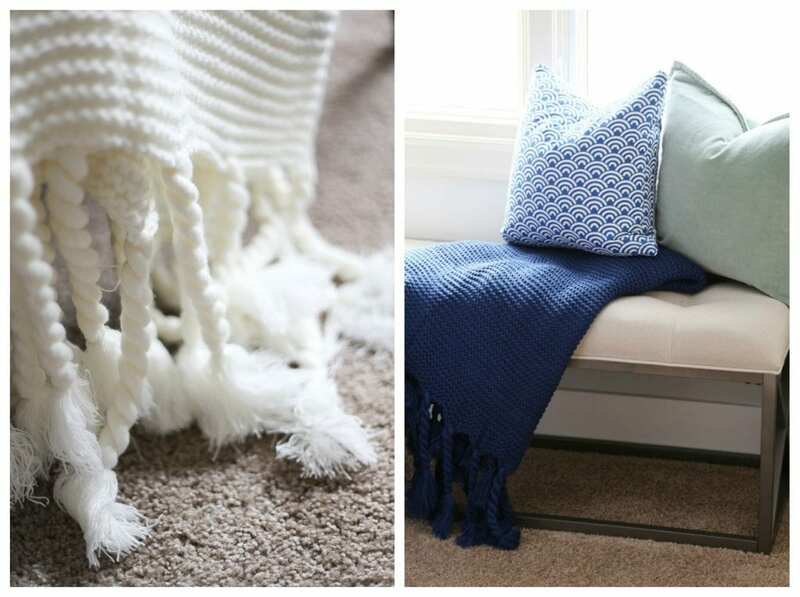 I am drooling over the turquoise throw! Oh-the Lindsay Letters are gorgeous! Thank you for your lovely blog! Such a fantastic giveaway! I love your blog! Happy holidays and God bless! Very generous of you and these sponsors – thank you! I would love any of Lindsay Letters’ beautiful prints! Frasier Fur is my favorite candle as well – a new one would be welcomed! Thank you so much for a fantastic giveaway! I would definitely love to try the Country Chic paint – we have many pieces of furniture that need to be re-painted. Happy Holidays! The letter prints – I’ve had my eye on them for some time. Thanks for all these generous gifts and the chance to win!! I’m not lucky in giveaways, but it’s fun to try. 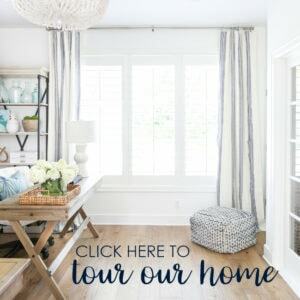 Love your blog and decor style!!! The throw, definitely the throw! Wow! Anything on the list is amazing. Love the fig pillow and the paint and oh, those sandals!! Have a great Christmas!! Throws , throws, throws…… can you ever have enough???? Those blankets look amazing. ???? Amazing list! I would LOVE the paint as I am always completing various projects around the house that require paint!! I look forward to reading your blog everyday. Thank you so much for your time and effort. What a great giveaway, thanks for putting this together! I love Country Chic Paint, too! All of it looks amazing! I would love to have the Europa throws, please. A girl can’t have enough warm and cuddlies! The pups and I would love to snuggle up in the throws. Love them! This is such a wonderful and generous surprise. I think I would most love the throw blanket. I love curling up under a throw with a good book. I would love anything from Lindsay Letters. Can’t wait to win! Hands down, the item I am most excited about is a canvas/prints from Lindsay Letters. Ever since the first time you posted one of her canvases, I have admired her work! Granted, all of the items would be amazing! What lovely items! I would be very grateful for winning any of them! There are so many things to love but my first choice would be a Lindsay Letters canvas. Thanks so much! Great gifts! Love following your blog!!!! These items are all so amazing and perfect around this holiday season. Great taste! Everything looks amazing….but especially love those throws. I love the Lindsey Letters artwork. But it is all wonderful. Your blog has been such an inspiration to me! I love all the items in the post and would be happy winning any of them but if I don’t, I still plan to buy a canvas for Lindsay. Thanks for the opp! Wow, what a nice giveaway! Thank you! I LOVE those prints from Lindsay’s Letters. They are so beautiful in your home and I would love to have one for myself! I just haven’t pulled the trigger on one yet…so I hope I win! Lindsey letters! I’ve followed her for some time now but still don’t own any of her art. She is so talented. I have been spying a canvas or a print from Lindsay Letters for awhile now. I would love to win the Lindsay letters prints! I grew up with the Doxology and It Is Well. Both bring peace to my soul! Love your blog!! Happy Thanksgiving Sarah & Kurtis! Can’t wait to spend time with the Stewarts again soon!! So many wonderful thing! I love them all! Cold today so I would love the throw. Thank you. I think all of these items make great gifts! Thank you so much for doing this giveaway! I love your blog! The paint sounds amazing! Great giveaway! Love the throws and paint and it would be interesting to try out the tools too. What an amazing list!! I found you on a whim months ago when I was looking at how to style my Lindsey Letters canvas. Now I’m obsessed with your style! What an incredible list!!! I want it all!!! I have loved Lindsay Letters for a very long time and would be thrilled to win something from her shop! Loving the throws from Hayneedle. Wow! Awesome giveaway! I would like to win the paint! I have several pieces that are showing their age & need a revamp badly! Thanks for the giveaway!! Lindsey Letters! You turned me onto her and I have 1 print and gave away 2 last year as gifts! I would love the Lindsay Letters prints! Love all of this, especially the letters! Thanks for the opportunity! This is a lovely collection! I especially love the woven workz throw and nars blush/bronzer. Merry Christmas! My favorite item is the Dremel tool! Lots of DIY’s around here! I love so many of these things! Thanks for the chance to win! Capri Blue candles are also my favorite! Love your picks. I would love the Lindsay Letters canvases. What an amazing round up of gifts!! Love the Lindsay Letters prints!! Such great picks! Many of my favorites as well. While I’d love anything here, I’ve been dying to get my hands on a Dremmel for a few projects. ???? Great giveaway! I can’t decide if I would most want to wind the throw or the artwork! I would love anything from Lindsay Letters! What a wonderful list with great variety. I just ordered the tassel necklace for a gift exchange-thank you for the idea! I would love the win the Lindsay Letter prints! I would love to win any of these really! But I’m really eyeballi g the Lindsay Letter goodies! ???? Thanks for the chance! I would LOVE to win a piece from Lindsay Letters! Thanks for the opportunity to win! The Summery Umbrella gift card would be awesome–love her signs! Already ordered the tassel necklace as soon as I saw it on your post!! Love it–thanks so much! Thank you for this giveaway – everything is beautiful! This is really great! I like your blog a lot!! I would love the dremel!! I’ve always loved Lindsay’s signs. They’re so gorgeous! What a great giveaway. Thanks for the opportunity. Oh those throws… I would live in them! Awesome giveaway! I love the gorgeous throws from Hayneedle!! This is great! Thanks for putting this together! I would love to win the Dremel 200 Series . Love all your picks!!!!!! I’ll take whatever you have:) Especially love the candles, throws and Lindsay Letters!!!! I’ve followed you for a while and admire everything you’ve done in your home. I’ve even copied some of them. I’ve thought about purchasing a poster but haven’t done it. I love the throws too. Thank you for the opportunity. 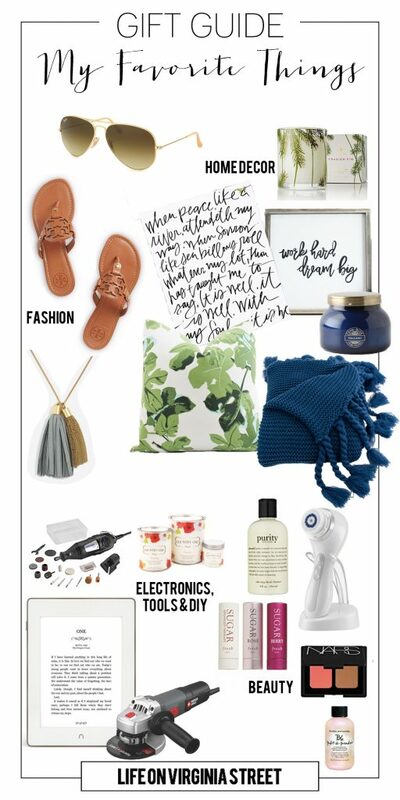 All of these items are amazing, but I would be happiest to add one of Lindsay Letters’ pieces to my home! I love her lettering and I especially love the faith filled messages. Thank you for doing this!! The Workz Europa Throws from Hayneedle look divine! All such great products – I love your blog! Wow, what an awesome giveaway! Love to see that you are offering it to readers who have been around for awhile. I would love to win any of those amazing items, but I think I could use the nook and Dremel the most. Thank you! Amazing giveaway!!! Love the throws! I would love to win the Lindsay Letters prints. The throws look amazing! What an awesome giveaway! I *love* all the Lindsay Letters canvases in your spaces! I would love to own one of my own. All of it looks lovely but I’d be most thrilled with something from Lindsay’s Letters. Oh, my goodness. They are all wonderful. I would be appreciative of any of them. I love your blog, and look forward to reading it every week. They all sound wonderful however I have to say I love the prints by Lindsey Letters. I love everything, but if I’d have to choose one thing it would be the Lindsay Letters! Great picks! That throw looks perfect for snowy Sunday mornings! Love the fig leaf pillow! I like the throw because I’m one of those forever cold people. I would love to have anything on this list! Love your style. I’ve been eyeing those fig leaf pillows for forever! Love everything, but especially the throws! The Capri Blue Candles sound intriguing! Oh my Goodness…so much goodness! So hard to pick a fav but at the moment I’d say the dremel because I know it would be so handy…Lindsay Letter, that blanket, etc…any of it would rock! Thanks and Happy Holidays! Love it all! Especially the Lindsey Letters items! I would love to win the Linden Letters canvas. Love it all, especially Lindsay Letters! 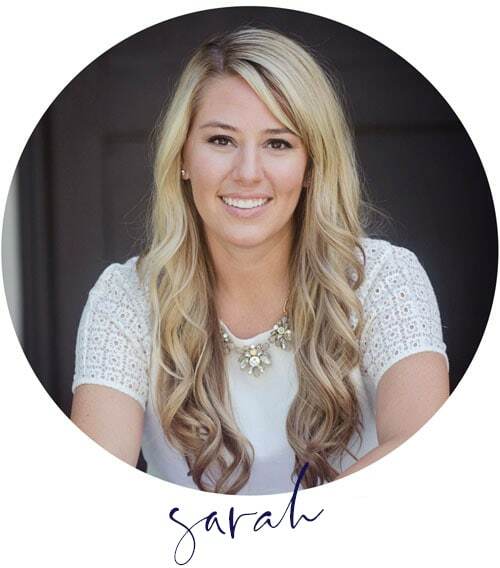 Wow Sarah, thanks for the opportunity to win some great prizes! I love all of your Lindsay’s Letter pieces, I was just drooling over her website last night. Love your style, can’t wait to see all of your Christmas decor. Happy Holidays! What a great giveaway. Anyone of these is a great gift. I’d most like to try the CLARISONIC Mia 2 White Sonic Skin Cleansing System. These are awesome giveaways, I’ve been eyeing those Lindsey Letters canvases for months! They are all fabulous! I would love the throw or the summery umbrella art. Of course, I ❤️ anything by Lindsay Letters! The Lindsay Letters giveaway would be my first choice – thaybare so beautiful. Oh wow! I have been wanting to try out chalk paint in an upcoming project or two but have not been able to source it locally! Do you order yours online or can you buy it in store? I also love Lindsay Letter’s signs and prints! they are seriously so adorable! Great giveaway! Congrats on such amazing work this year, keep it up! Awesome list! I love the throw. Thanks for putting this together! Anything on the list is amazing! I love the throw! Feel kind of guilty about entering again but LOVE your favorites! Amazing giveaway! Thanks for sharing! Everything looks so lovely. Thanks for the chance to win! I love those throw blankets! Winning any of the items would be great! I would love that throw! It looks so cozy! I love the Doxology print and the throws, plus I’ve been thinking about painting my kitchen table and chairs too so there are lots of great options for me! Thank you!! Love your favorites!! My top choice would be the cozy throw! Lyndsey had one a wonderful job on the doxology. Your entire giveaway is amazing! What a wonderful giveaway. These are all great Christmas ideas! I love it all, but I’d most like to win the Dremel 200 Series. I love that you’re a blogger from Omaha as that’s where I live. It’s nice to have local reviews of different places along with things relevant to our area and local stores. I would love to win the items from Country Chic Paint as I just bought my first home and can’t wait to make it my home. Happy holidays to you and your family! This is such a great collection. Love those pretty throws. What a great post! I love the throws!! What great gifts! Thanks for sharing with us! Merry Christmas to us readers!???????????????? I’d love to win any of the items! You have great taste! Loving it all! But those prints from Lindsey are screaming at me! TY for the chance. Happy Holiday to you! I would really like to win the throws. I only have one for my house, and I’d like a couple more. This is a wonderful giveaway offering and all of the gifts are great. Have to say that I’m crushing on Lindsay Letters and those soft throws from Hayneedle. Thank you for the opportunity to participate! What a magnificent giveaway. Love your taste!!! The country Chic Paint is calling out to me . The woven throws are most exciting to me! Love all the items on the list. My fav are the three prints from Lindsay Letters. Gorgeous! The Europa Throw looks so cozy and warm. It would be a great addition to any sofa. Such a fun giveaway!! Love it all! I love it all! Definitely need the fraser fir votive for our home with its faux tree. I am most interested in the throw blankets! What fun things! I absolutely love Lindsay Letters, too! Those throws are amazing – how fun to win one of them! All of these are great but I would have to say your collection would be my first choice (I’ve always wanted a Dremel) closely followed by the comfy throw blanket! Thank you so much! What a beautiful prize package of goodies for the home. Lovely! It’s hard to choose a favorite, but gosh those throws look cozy. I am so excited for the Country Chic Paint! The Frasier Fir Votive Candle, I love the smell of frasier fir it makes it feel like the holiday’s. I enjoy reading your blog as often as I can. I’d love to have the Lindsay Letters giveaway! All of these are wonderful! What a fantastic giveaway, thank you! Love these things – fingers crossed! Love the prints from Lindsey’s Letters! I love your sense of style! A Lindsey Letters print would be awesome! I’d love to try the Country Chic Paint . Winning it would be fun too! I would like the Dremel 200 Series Two-Speed Rotary Tool. Definitely would love the Dremel! I am most interested ion the Dremel setr, but they are all great prizes. The Woven Workz Europa Throws are my favorite. It gets SO COLD here in the winter. Can’t have enough blankets some days! I’d love the package you put together or the paint! AH! The Lindsay Letters prints have been one my wishlist for such a long time! I am obsessed with your blog! All of your transformations are gorgeous, and you make it feel attainable for those of us that are design-challenged! I LOVE all of the prizes! I would love to get a pair of those Miller leather sandals for summer! I would love to try the paint. I have been thinking about painting the furniture in our bedroom. Thank you so much. I’ve been reading your blog for almost 5 years?…its been not only a style inspiration (my house is full of navy blue and stripes ), but it’s such a feel good place for me (especially at night when I’m having major anxiety ). So thank you for taking the time to share with us. (Love Lindsay letters…need all the inspiration I can get). Wow! Wow! Wow! I love all the things that you love! Love the Lindsey Letters products. I would love the fig leaf pillow! Thank you for the chance at all these cool giveaways! I love Lindsay Letters because I have the Doxology print after you recommended it on your blog! I wish to have a big canvas of the It Is Well With My Soul print. I’m not very lucky at winning any entries, but I’m taking a chance because I love these items so much! Love your style – especially love the Lindsay’s Letters and home decor items! Love the home decor items but everything you have chosen is wonderful! I have been wanting to try Country Chic paints for a while now and would love to try it. Any thing by Lindsay’s letters makes my heart happy! Merry Christmas!!!! Anything would be fantastic, but I love the sandals! Love the home decor items!! What a great give away! I’d take the Lindsey Letters giveaway all day long! Not sure if I’d be more excited about the throw(in navy! )… Or the candle… Or all the beauty products! Such great items, thanks for the giveaway!